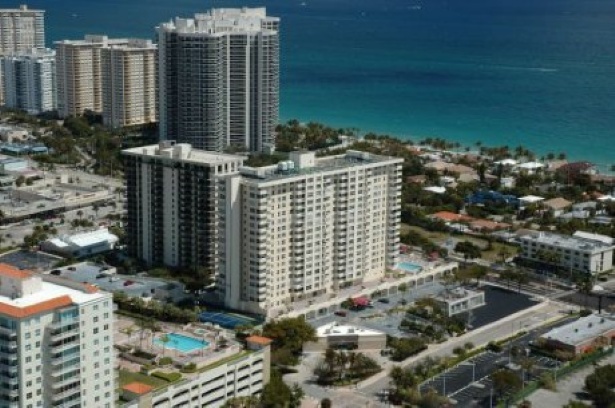 11F in Berkley South is newly listed on the Fort Lauderdale Condominium Marketplace for $349,500. 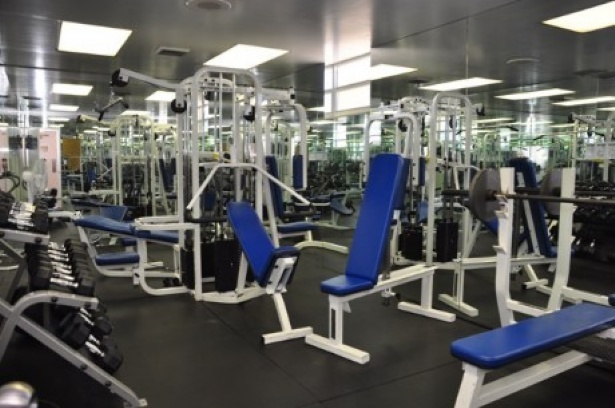 It is far and away the best view, best location, and best value in the building. 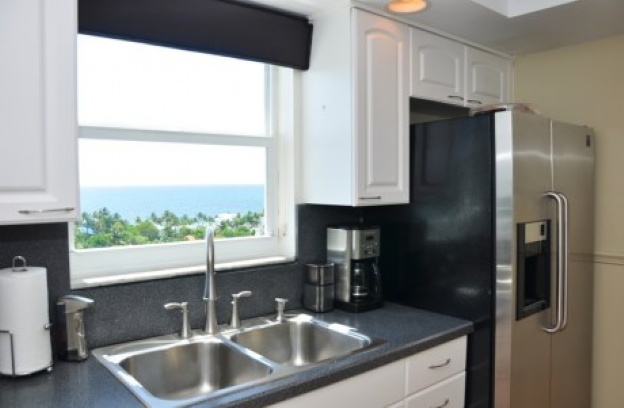 This beach area residence offers the most breathtaking views in the building, even from the kitchen! 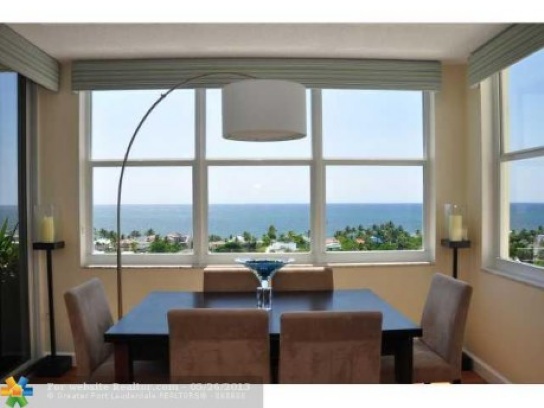 In fact, this home has incredible ocean views from the dining room, living room, kitchen and hallway as you are leaving the master bedroom, not to mention the panoramic views from the balcony. 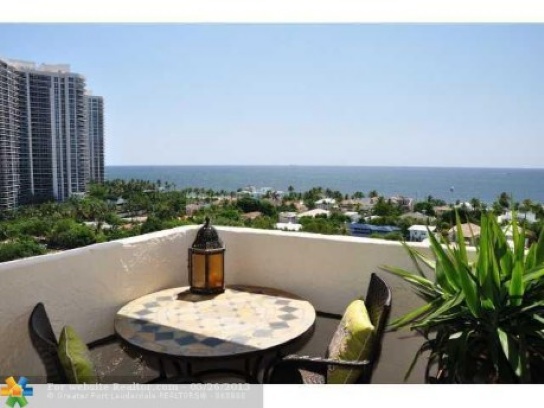 The views from this corner home extend as far north as the lighthouse in Deerfield Beach with a wall of windows providing direct ocean views east and south down A1A. 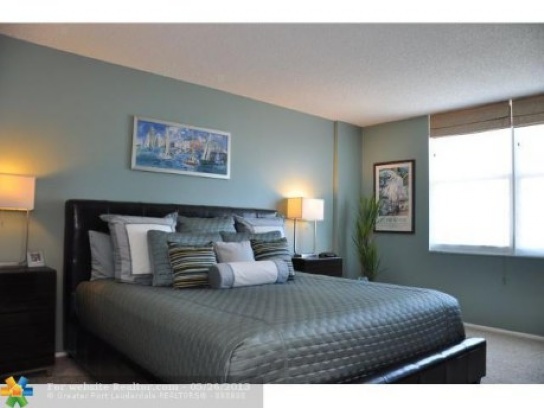 In this popular beach location, you have the delights of Fort Lauderdale living at your disposal. 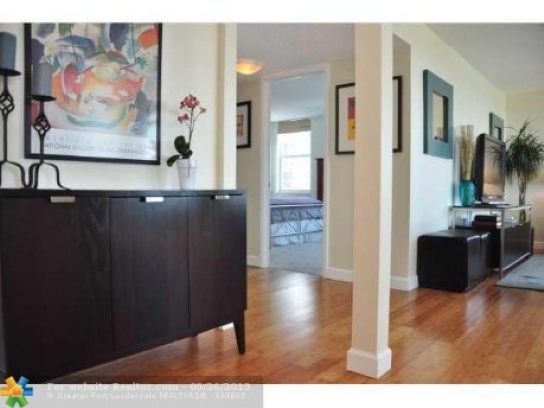 With the most desirable two bedroom and two bath floor plan in the building and with 1,340 square feet of interior space, seeing is believing with residence 11F. 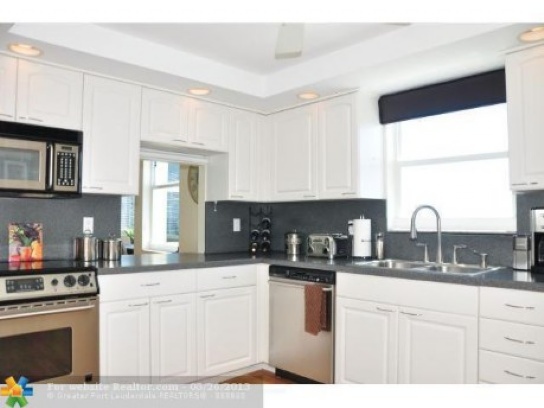 This home has been completely updated and ready for its' new owner. 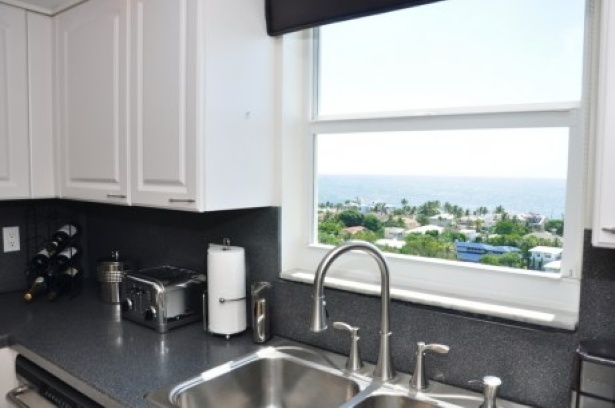 The large eat-in kitchen has been updated with new cabinets, recessed lights, stainless steel appliances, and a gorgeous direct ocean view from the window above the kitchen sink. 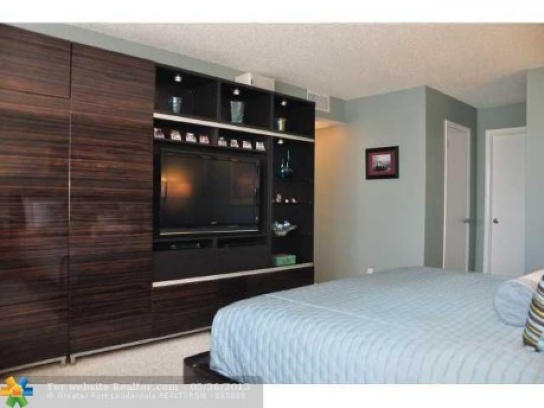 Floors are updated with bamboo wood in the living areas and tasteful carpeting in the bedrooms. 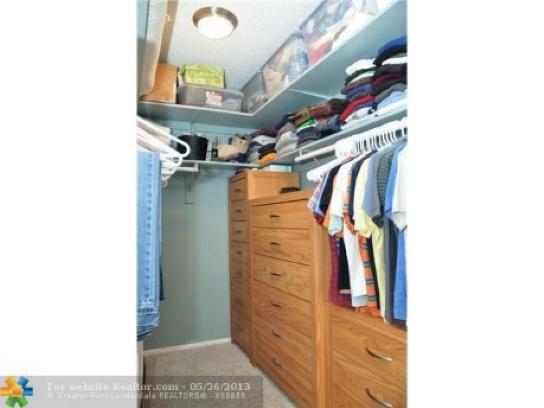 This residence offers enormous walk in closets, as well as extra storage. 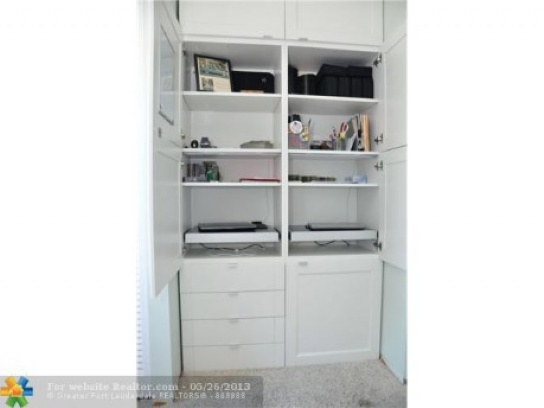 As an additional feature, the guest bedroom has a concealed custom work area that may be used for a home office between the two closets. 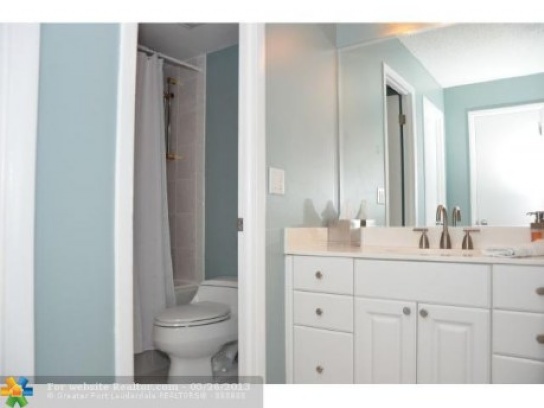 Each bathroom has been updated, and you will find a deep Jacuzzi tub in the en suite master bath. 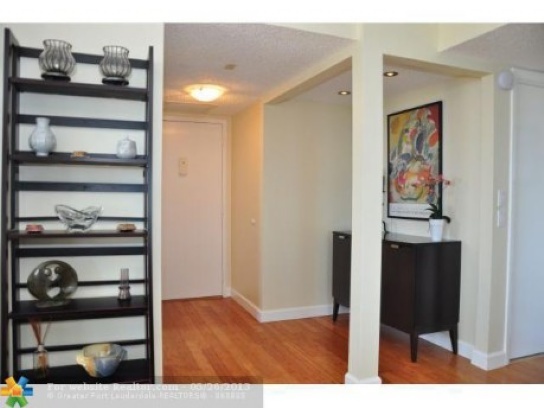 Monthly maintenance for this residence is $725 per month which includes extra reserve funding, insurance and basic cable. There is a full time staff on hand on the premises. 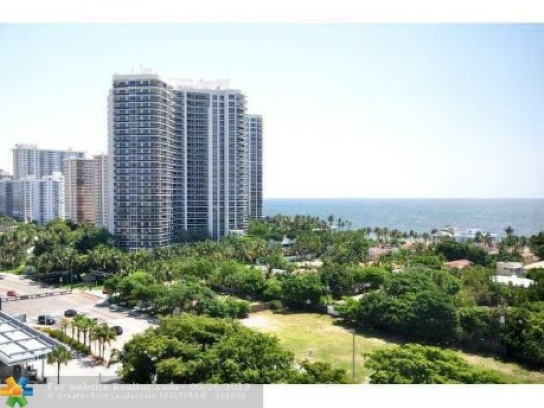 Given the demand for waterviews in Fort Lauderdale and the dramatically tight inventory, I expect this property to sell quickly. 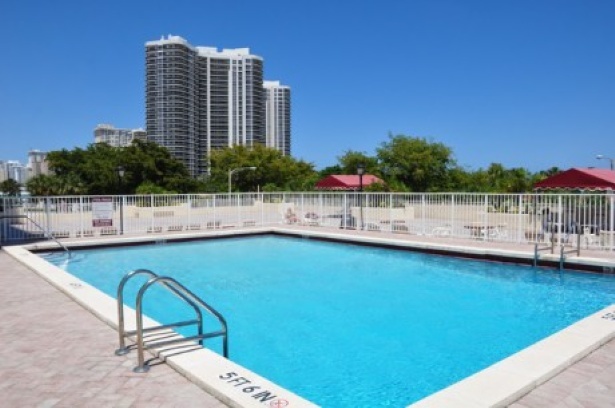 Berkley South is an updated condominium just two short blocks to the beach. The designer appointed lobby is second to none. The balconies, upper parking deck and garage have been recently restored; the elevators and clubroom kitchen have been completely remodeled. 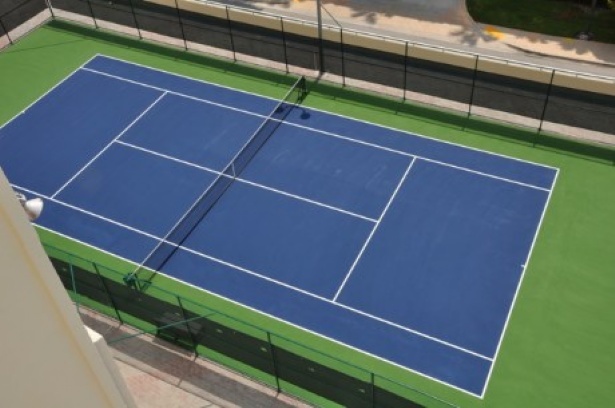 Amenities include a heated freshwater pool situated on a 40,000 square foot deck, tennis court, 2 separate fitness rooms, billiards and BBQ area, bike and kayak storage. Berkley South is a pet friendly building and is leasable during the first year of occupancy with a minimum of 90 days twice a year. 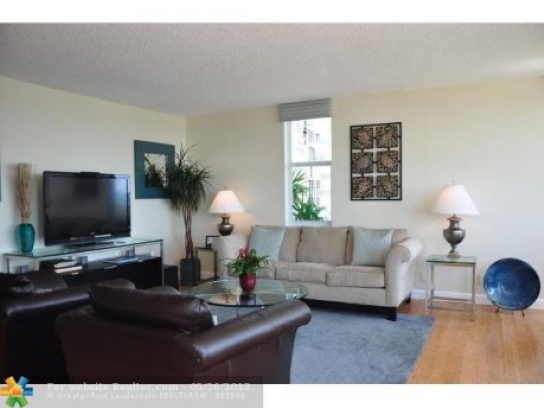 If you are interested in residence 11F or others in Berkley South, please contact me right away.